LOS ANGELES (AP) — Kobe Bryant signed a three-year contract extension Friday worth nearly $90 million that will keep him with the Los Angeles Lakers through the 2013-14 season. The deal will begin after next season. 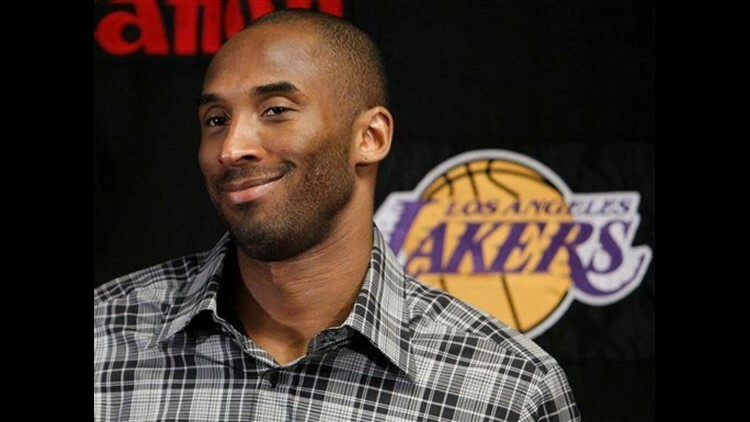 Bryant is making $23 million this season and is due to earn $24.8 million next season. "It's very rare to have a player play his entire career in one city, so I'm very excited," he said after the Lakers beat Utah 106-92. Bryant could earn $27.4 million in 2011-12, $30.2 million the following season and more than $32 million in his final year, when he would be 35. Asked if it would be his last contract, Bryant replied, "I doubt it, but it's possible." Gasol signed his own three-year extension in December that extends through the 2013-14 season. He is making $16.5 million this season and $17.8 million next year. His new deal likely will pay him around $20 million per season. "It's a great thing," Gasol said about Bryant's deal. "I really had no doubt he was going to get it done. It makes all of us happy." The 31-year Bryant could have terminated the last two years of his contract and become an unrestricted free agent last July. He also had the option to become a free agent this summer. He said he had no thoughts about going elsewhere even while speculation had suggested otherwise. "I knew I was going to be here," he said. Kupchak said neither side wanted the negotiations to extend into the playoffs, which begin April 17 when the Lakers open defense of their NBA championship. "My position all along is that Kobe started as a Laker and he should end his career as a Laker," he said. "We're fairly assured now that he will end his career as a Laker. Of course in four years, he'll be 35-years-old and maybe we'll go do this again or there'll be an option for him to do something else." The 12-time All-Star was voted league MVP in 2008, when he helped the U.S. win a gold medal in the Beijing Olympics. This season, he moved past Jerry West to become the Lakers' career scoring leader. Jackson said Bryant's deal has no impact on his own possible extension. Jackson plans to evaluate his future after the season ends, when he'll have his annual checkup. He turns 65 in September. "I personally sat down with Phil and indicated I'd love to have him back," Kupchak said. "It really falls into his lap and his timeline." Bryant said he enjoys playing for Jackson and told him Friday that he "would love to see him come back."